I’m feeling unwell today, so I’m posting on a lighter topic than my usual fare. “Buying Flowers” seemed to resonate with so many people, I thought I’d let you know, you can even buy yourself a giant heart box full of chocolates. Yes, you can. Even though Valentine’s Day is seen as a romantic holiday by most, it hasn’t been one of the harder days for me since my husband died. Maybe it’s because he called it a “Hallmark holiday,” and hated how they raised all the prices on flowers and offered more expensive prix fixe menus in restaurants on that day. He bought me flowers on ordinary days and took me out to eat all of the time. 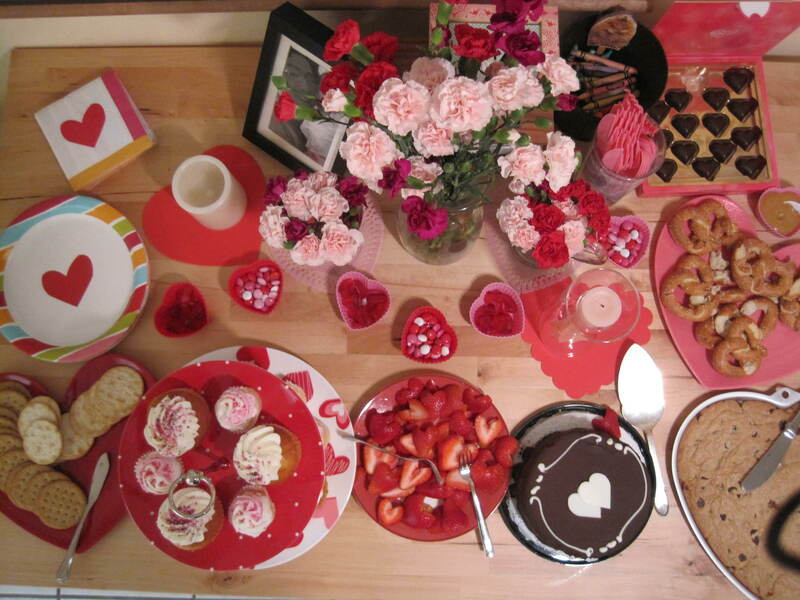 The first Valentine’s Day after my husband died, I somehow found myself throwing a party for Audrey complete with a hired musician to entertain her and her little friends in our small apartment. One of the children, looking at the table with food had asked her mother, my friend, “Why is everything so pretty?” Looking back, I must have needed that extra beauty, and perhaps the pure distraction of assembling it. Even though it has the potential to be a cheesy holiday, the colors and aesthetics, and the meaning- if you search for it- can bring life to a cold February. 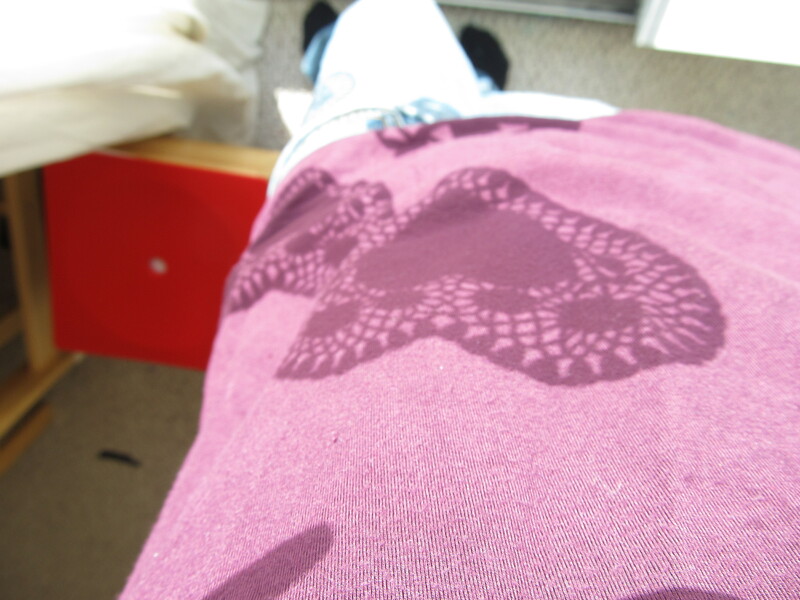 Adding some pinks and reds against the mostly white and grey of winter is a wonderful respite for the eyes. So, I thought I’d share a few of our traditions with you. 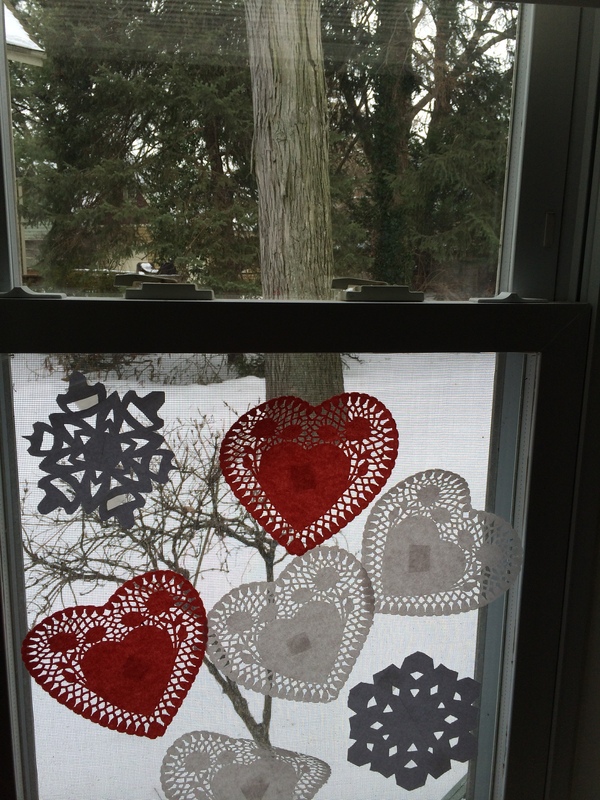 Every year, I add a few more simple decorations to our collection- felt hearts, lace hearts for the windows along with snowflakes we’ve cut out, a small burlap banner with little hearts on it. 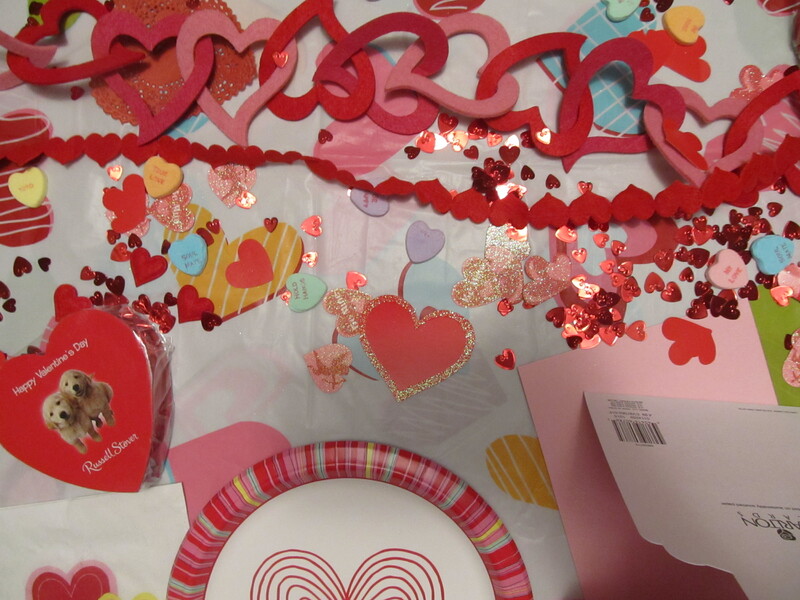 I hang a few banners up in the beginning of February, but I prepare the table for a Valentine’s breakfast with the rest of the decorations the night before Valentine’s Day. 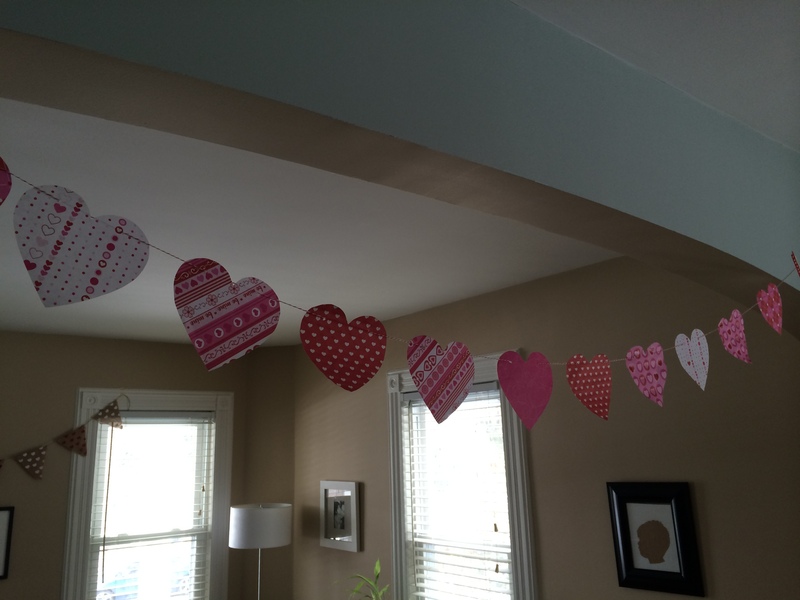 When my daughter wakes up, our table is covered with tiny shiny hearts and scattered conversation hearts, there are pink and red balloons on the floor, and of course flowers- I usually do pink and red tulips. There is a small present for her because this was a tradition my husband had started when he was alive. I carry it on. This year I decided on a small science kit because she loves science, and the beautiful book showcased here with the ee cummings poem, “[i carry your heart with me(i carry it in].” It’s a lovely depiction of the poem with the focus on the mother/child relationship. I know that she only has a little time left with picture books. Usually, I get us each a small box of chocolates, but this year I bought a giant heart box for us to share- just because I felt like it. The shape of the heart is a pleasing one, and there’s something delightful about the sound of the little brown wrapper when you take out a piece of chocolate, isn’t there? Beautiful…..Happy Valentines Day to you both! 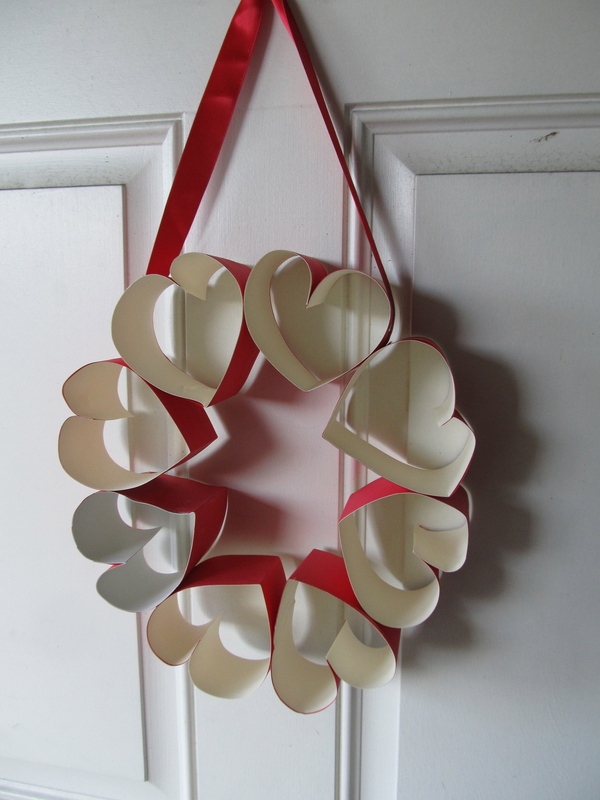 There is so much love to celebrate on Valentine’s Day and the romantic, fabricated, Hallmark kind is only the tip. I love the way you bring extra joy to an otherwise normal day for your daughter. way to go! 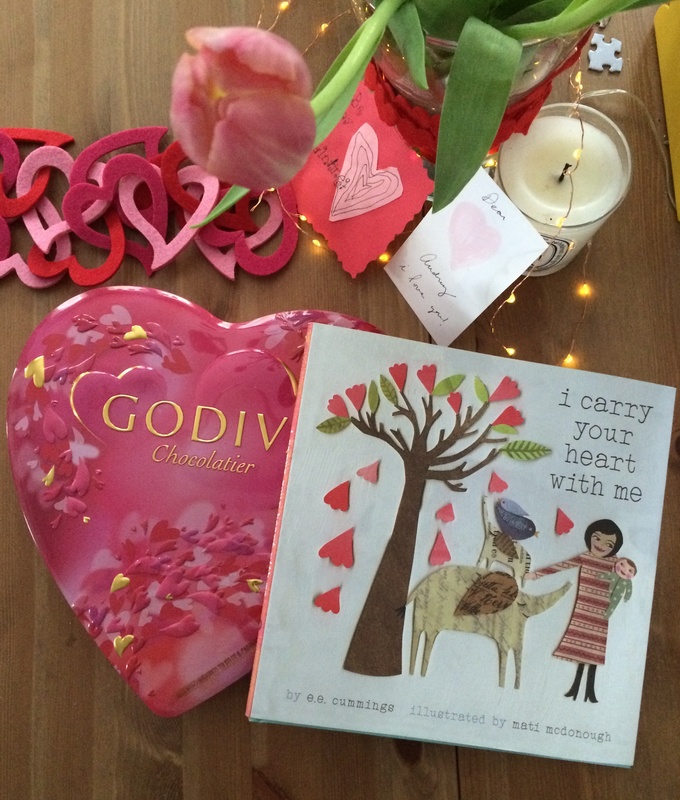 Wishing you both a Happy Valentine’s Day full of love and warmth…enjoy that chocolate heart! What a lovely celebration for you and your daughter. That book looks gorgeous.